Radon levels dropped from 20+ pCi/L to under 1 pCi/L (~0.6) very quickly. Very pleased with results and DIY savings. Installed the radon fan in a basement corner utility closet, cored the floor with a rented core saw. Routed it out the side of the house above the block. 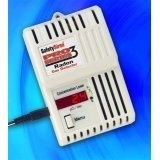 I found that investing in my Safety Siren PRO SERIES 3 Radon Gas Meter was worth it (~$129.00, I think). I was able to run multiple long and short term tests after my initial canister test of 12.5 pCi/L (at a cost of ~$40). The meter has been borrowed by family and friends, identifying very high levels 60-80 pCi/L in a friends basement AND first floor. I planned to sell it when I was done with it, but I'll probably just keep passing it around to friends and family.